Last weekend, I invited several friends for a tea time between girls to celebrate spring ! 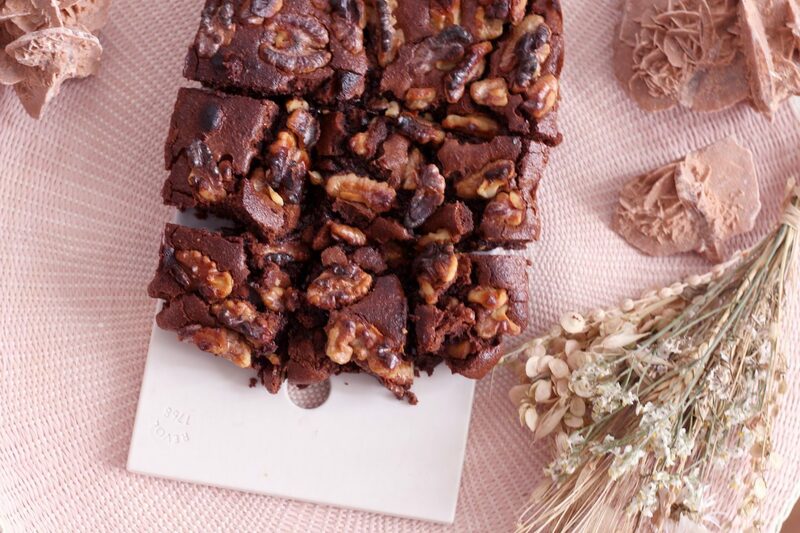 I prepared a small selection of deserts and I wanted to prepare a gluten free brownie. Indeed, I am known for my gluten and dairy free chocolate fondant, however, I wanted to change my dessert menu a bit. Everyone loved this preparation and I admit that we have forgotten ourselves a bit above ! This recipe was really delicious because we have the crunch on the edges and the melting heart, almost flowing : I love it ! 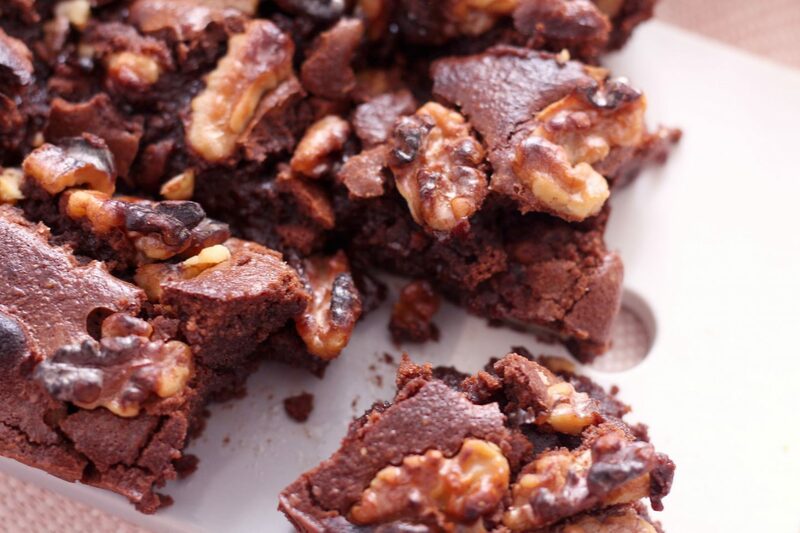 I made it with walnut kernels but it is also possible to use pecans or other oleaginous nuts. Start by melting the chocolate and coconut oil in the bain Marie. The mixture should be smooth and homogeneous. In a large bowl, mix the whole eggs and the cane sugar without much whipping. Add the melted chocolate and coconut oil to the eggs and whisk vigorously for at least one minute. Then add the rice flour and mix gently with the previous preparation. The dough should be smooth. Then pour the preparation into a previously greased mold. 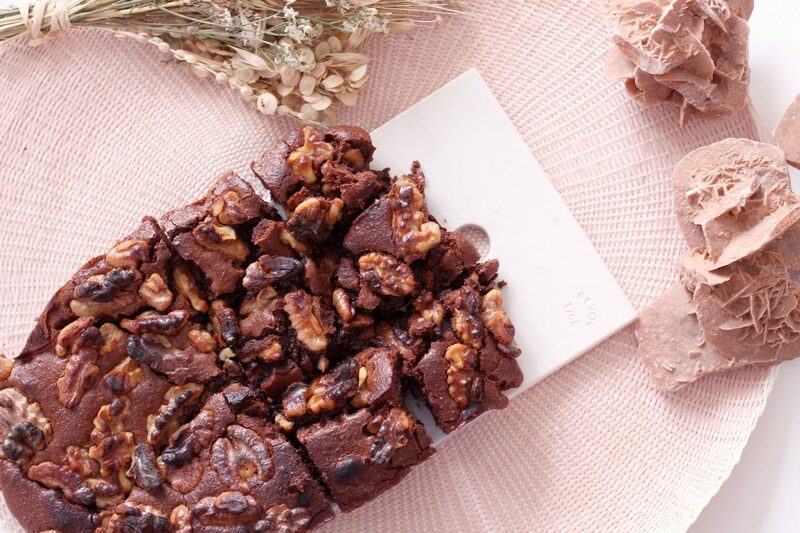 On the top, sprinkle with coarsely crushed nuts. Bake for about twenty minutes. The heart should be melting. Allow the cake to cool before unmolding. 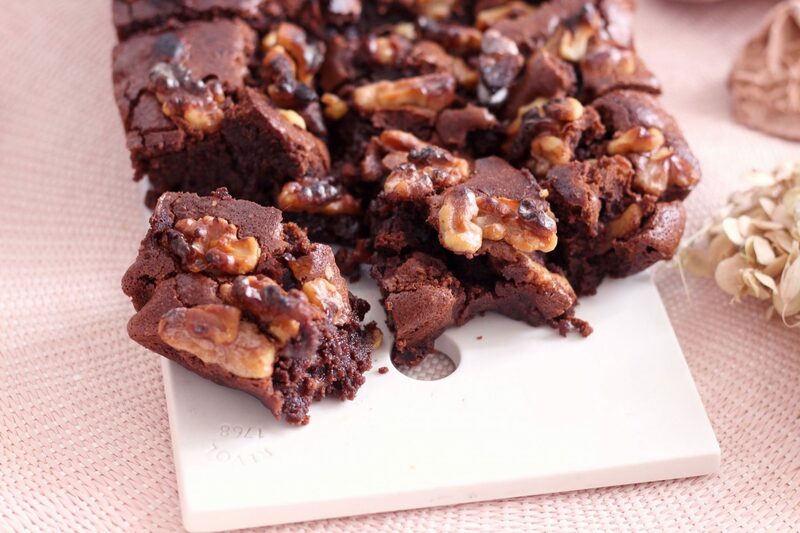 Once unmolded, cut brownie into small squares and enjoy with tea or coffee.